Oh my goodness, does this project ever rock. Just love how you decorated it. This is a little piece of heaven. This is gorgeous! LOVING that dream catcher!!!!!!!!!!!!!!!!!!!!! Awesome, Patti!!! A friend showed me one of these cards last week. I really, really need to try one for myself! Wow Patti!! Love your card and all the lovely details! That paper is gorgeous! 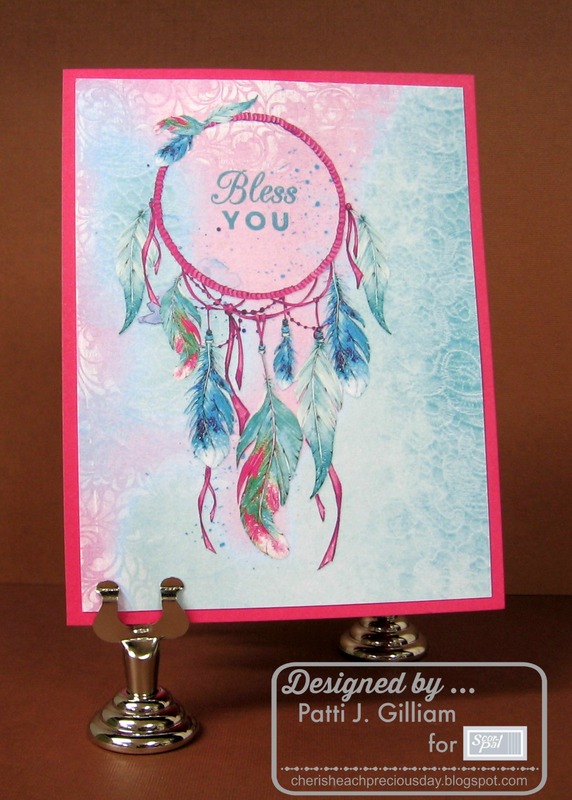 Wonderful card design and I love the beautifully colored feathers. Great card! I love the pop and twist! 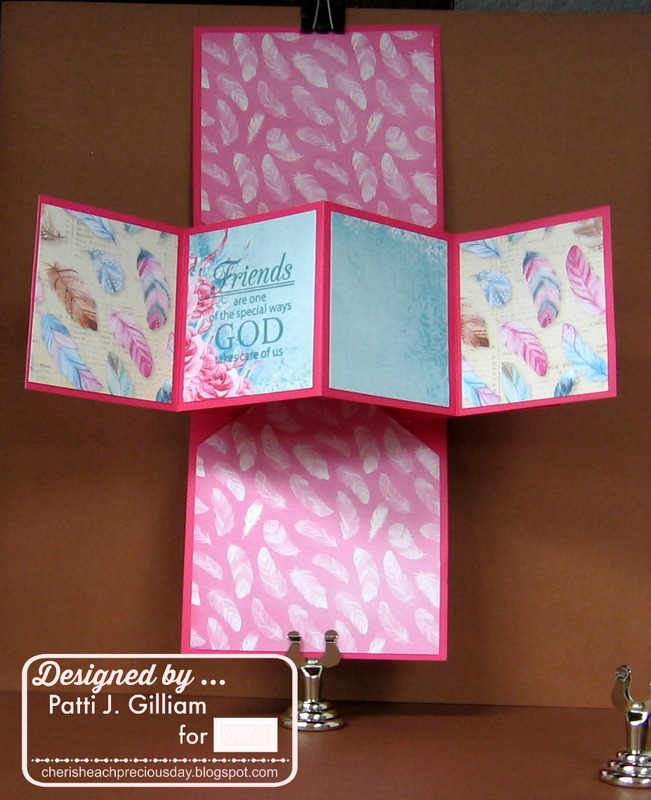 I love pop and twist cards, and yours is beautiful! The surprise pop-out on the inside is just too much fun.